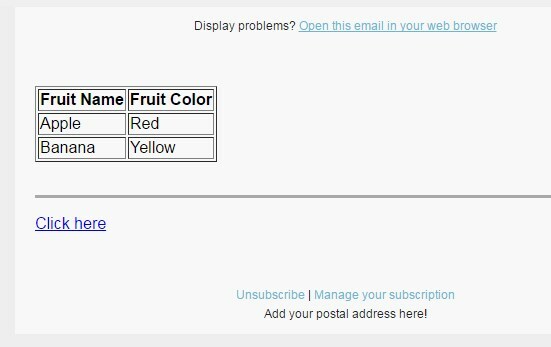 You can extend the functionality of the MailPoet Designer by using custom shortcodes that inject content into your newsletters. 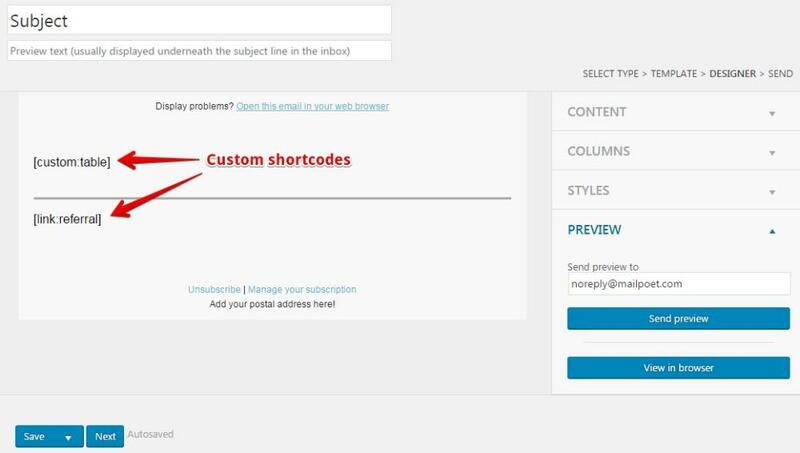 These shortcodes can be used to customize both the body and the subject line of the newsletter. Just add these code snippets to the bottom of your theme's function.php file. // always return the shortcode if it doesn't match your own! (object) $queue ($queue->id, $queue->subscribers, ...). This variable is only available during sending.